Memorial services for Helen R. Traylor, 83, of Lufkin, will be held at a later date. 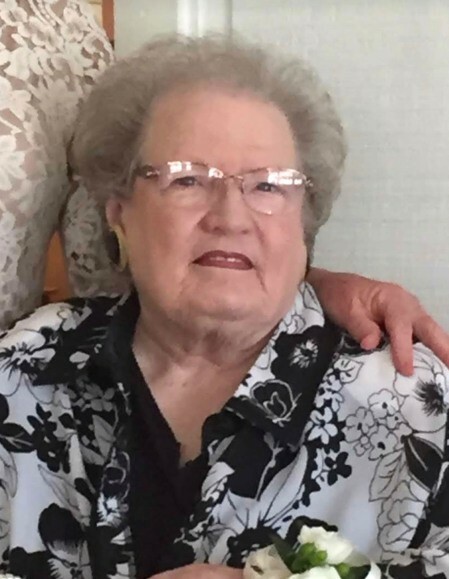 Mrs. Traylor was born April 12, 1935, in Ft. Worth, Texas, the daughter of the late Jesse Oliver Pope and Essie (Sanders) Pope, and died Monday, March 25, 2019 in Lufkin. Mrs. Traylor was a member of Angelina Church of Christ, a retired nurse, and a retired realtor. She loved to sing and was a member of the “Sweet Adelines” singing group. Mrs. Traylor was a loving wife, mother, and grandmother. She is survived by her husband of 68 years, Johnie Traylor of Lufkin; son and daughter-in-law, Gary and Maureen Traylor of Ft. Worth, TX; son and daughter-in-law, Jay and Lucie Traylor of Friendswood, TX; son and daughter-in-law, Guy and Mitsi Traylor of Iowa Park, TX; grandson and wife, Steven and Shannon King of Ft. Worth; grandson, Eric King of Ft. Worth; granddaughter, Caylie Traylor of Dallas; grandson, Christopher Traylor of Los Angeles, CA; sister and brother-in-law, Nita and Tommy Hurst of Lufkin; brother and sister-in-law, Raymond and Janice Pope of Midway, TX; nephew and wife, Tod and Julie Thornton of Lufkin; nephew and wife, Ty and Julie Thornton of Lufkin; along with numerous nieces, nephews, and other relatives. Mrs. Traylor was preceded in death by her parents; and brothers, Ronnie Pope and Walter Pope.